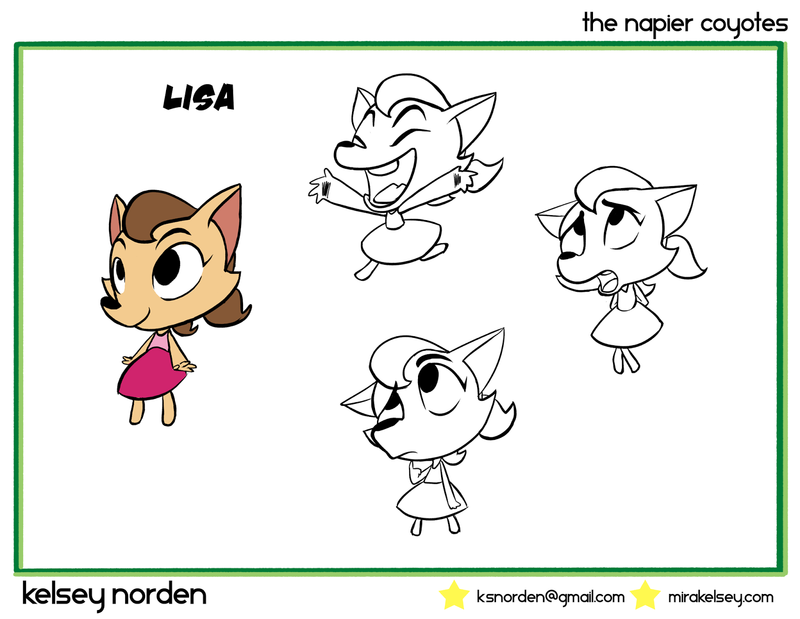 Last summer, I was challenged by a recruiter I'd spoken with to develop a project that was entirely kid friendly, with cartoony designs, possibly using animals. I was stumped. Then I talked to my mother about it, she listed off a bunch of random objects to base designs off of, and somehow I came to the conclusion that "Hey, Mom has a dynamic family, why don't I base it on her?" Needless to say, she was ecstatic, though I don't think it turned out how she expected. My mom was one of five in a family that traveled often due to her father's occupation in the air force. 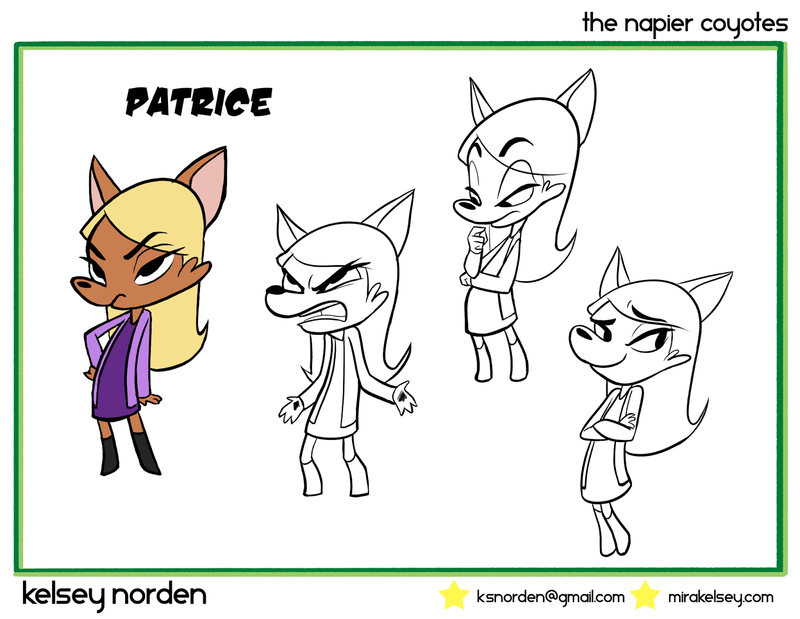 I never came up with a "story" based on that, but I did have fun turning her and her siblings into children's cartoon characters. My mom, Robin, was the first one I designed, obviously, and based everyone else off of that. 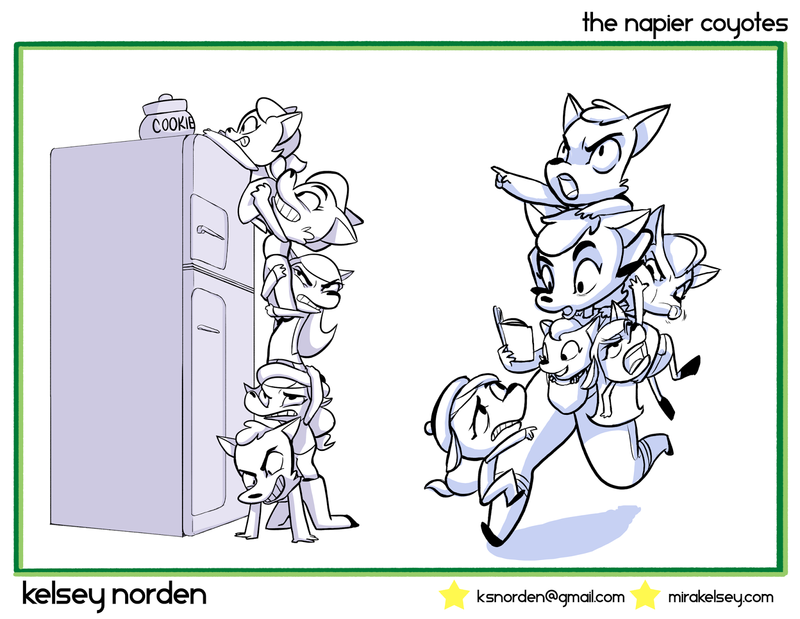 She was the creative one, energetic, more or less in charge of the pack. 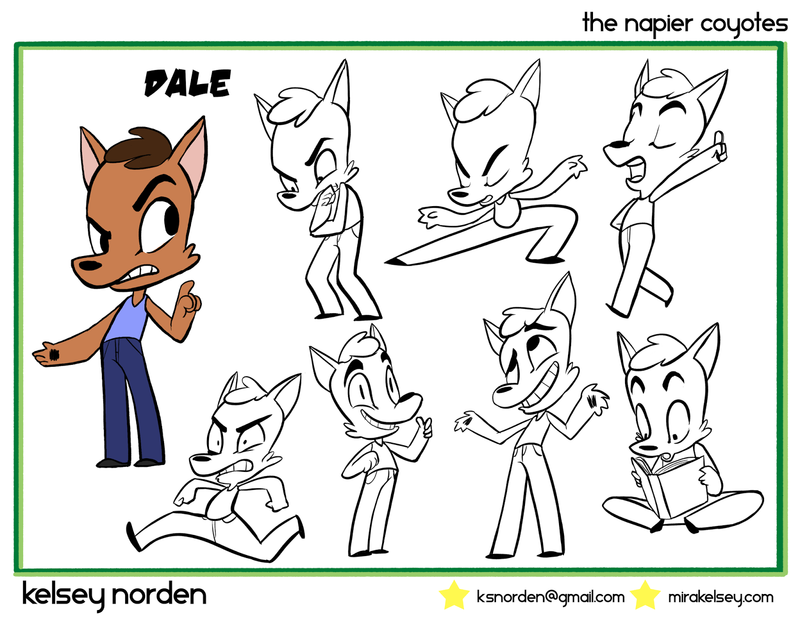 My Uncle Dale spends a lot of his time spouting random facts and knowledge, usually having something to do with martial arts. 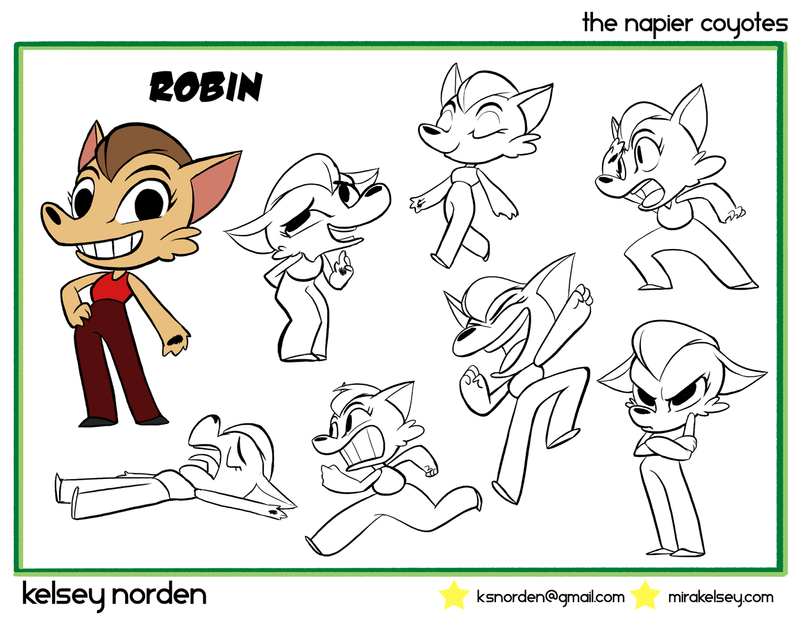 He and Robin became the stars of the project, since most of her stories revolved around them, being the oldest kids. 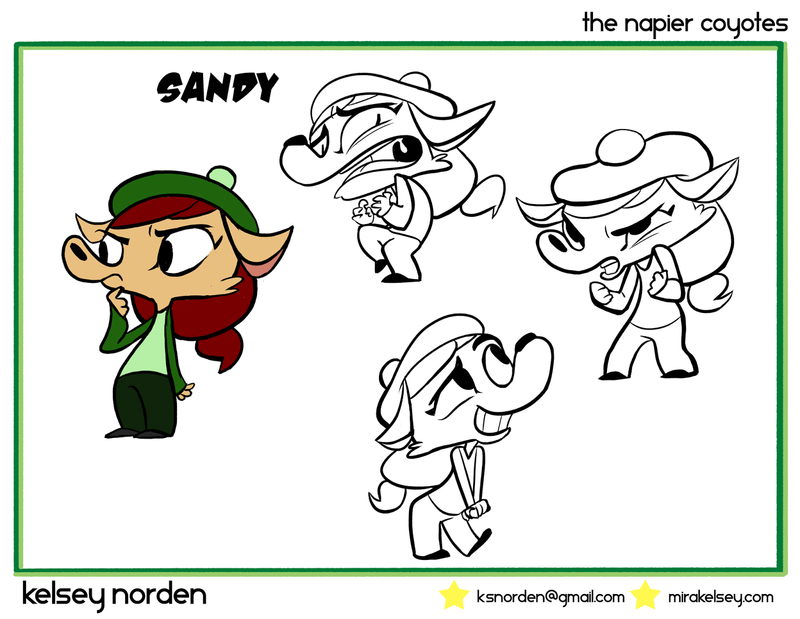 Sandy is naturally really talkative, and somehow I ended up morphing her into the black sheep character who is pretty jumpy but still a little rambunctious. Patrice has always been "the pretty one" - I have known this fact since I was a wee babe. She also ended up being "the mean girl with a heart of gold." I consider Robin and Lisa to have very similar personalities in real life, so coyote-Lisa ended up being a miniature version of coyote-Robin. I'm still not sure about those pigtails. 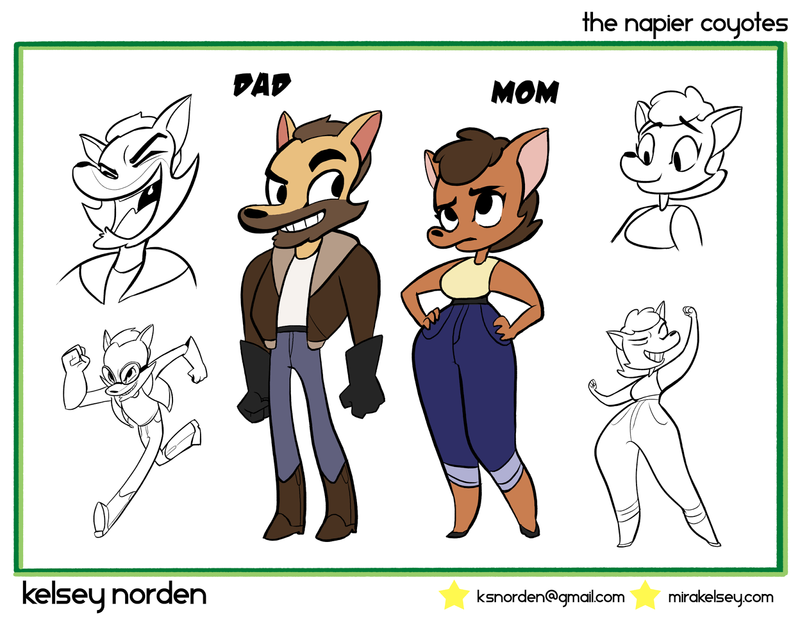 Coyote-Dad had to fit the mold of the idealized adventurer. Coyote-Mom had to be a powerhousewife, able to do everything, but maybe a little worn out because whoo dang, five kids. This project was a challenge to design because it was out of my comfort zone, but I'm happy with the result. 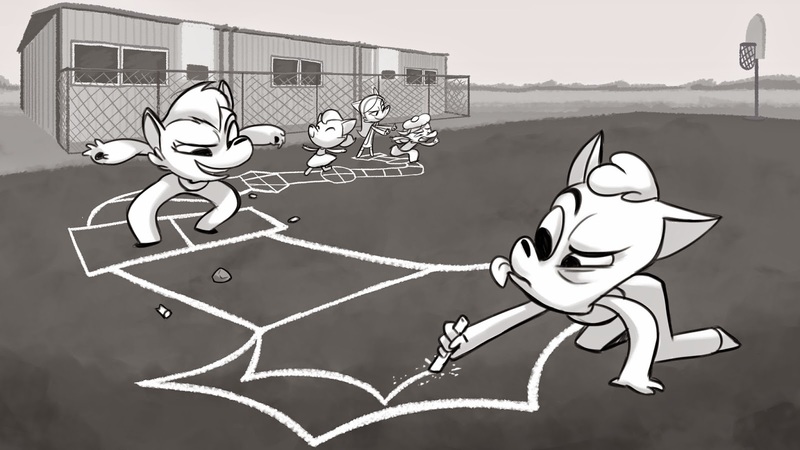 The cast is interesting to continue using for personal boarding projects, though I don't think I'll get around to developing a pitch for them. Thanks for reading! More content soon.